The Brief: Dr. Mantalenakis is a dentist of the modern era that specializes in laser applications asked us to design his logo, business cards, in a contemporary and uncomplicated way that would clearly reflect his field of business. 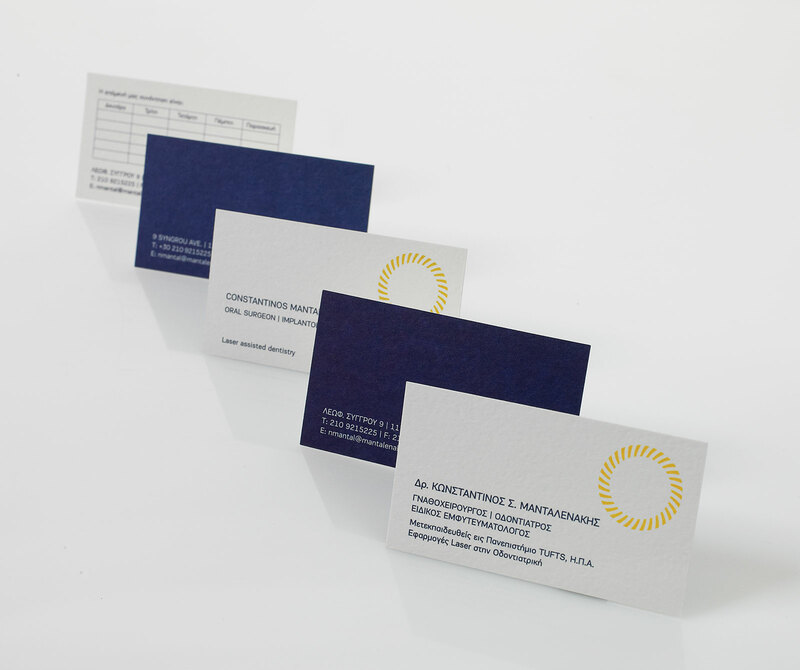 The Creative Concept: The design of the business cards was based on the dentist’s specialization, the laser applications. In order to achieve that, a bright circle/sun was used, as a symbol. This circle is made of 32 parts/rays, the exact number of teeth in a person’s mouth; teeth that can “shine” with the use of laser.